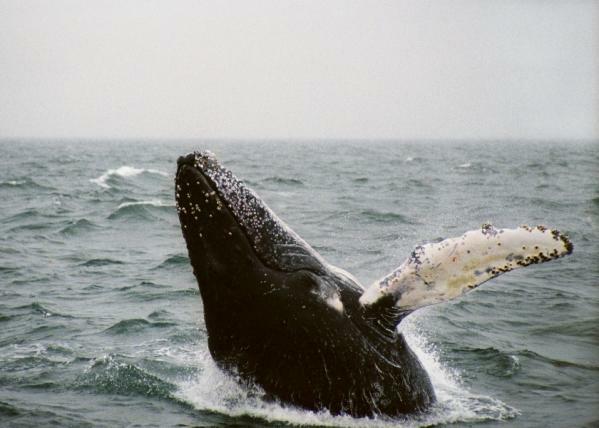 Every day, whales face numerous threats because of human activities. Among these threats are commercial whaling, getting caught in fishing gear (the biggest cause of death to whales and dolphins), injury and death from collision with ocean traffic, noise and chemical pollution, depletion of food stocks due to overfishing, and the effects of climate change. Changes in our climate are potentially making a fairly rare threat – entrapment in ice – a more common one for whales. For example, many of you will remember the real-life efforts to free three gray whales trapped in ice in Point Barrow, Alaska (this month re-imagined in the film Big Miracle). As the earth's temperature increases, ice breaks up, causing traps. Climate change also causes warmer water species to move north where – unfamiliar with ice – they get caught. Since the Point Barrow event, other whales have become entrapped in sea ice. Just a few months ago, in far eastern Russia near the Bering Sea, over 100 beluga whales became trapped under thickening ice, and had to rely upon a few small holes to breathe air and survive.